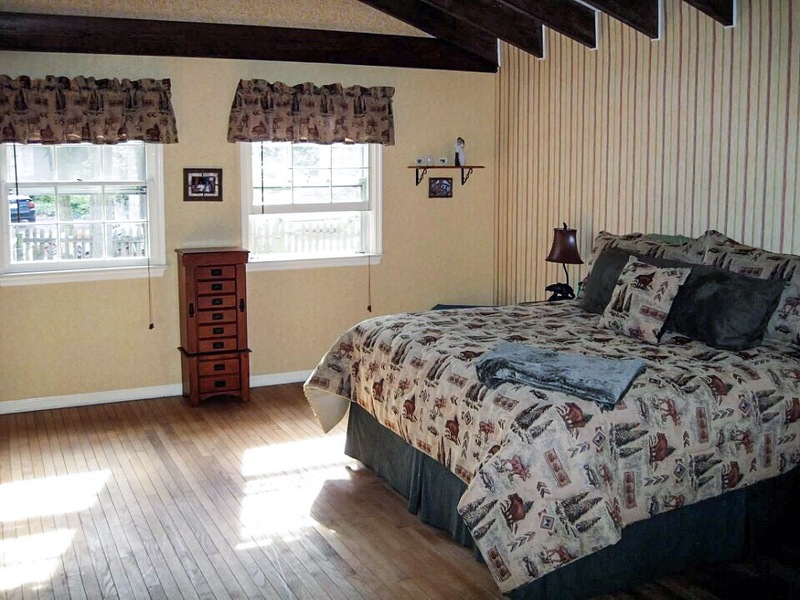 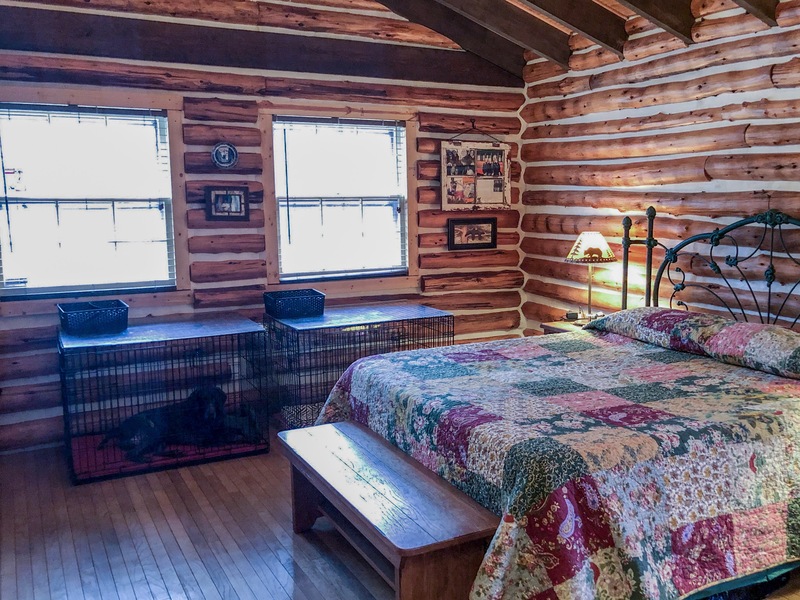 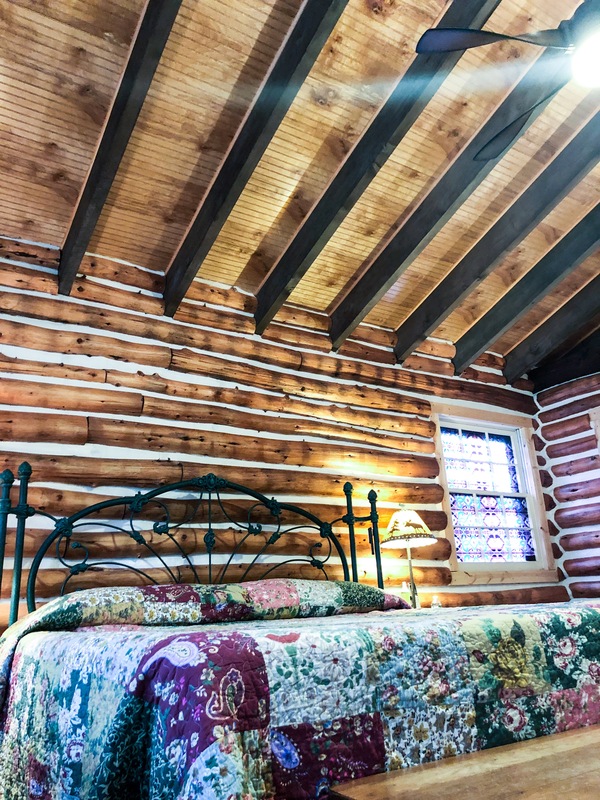 On our first floor, the kitchen and front bedroom, which we use as our Master Bedroom, was an addition to the original log cabin. 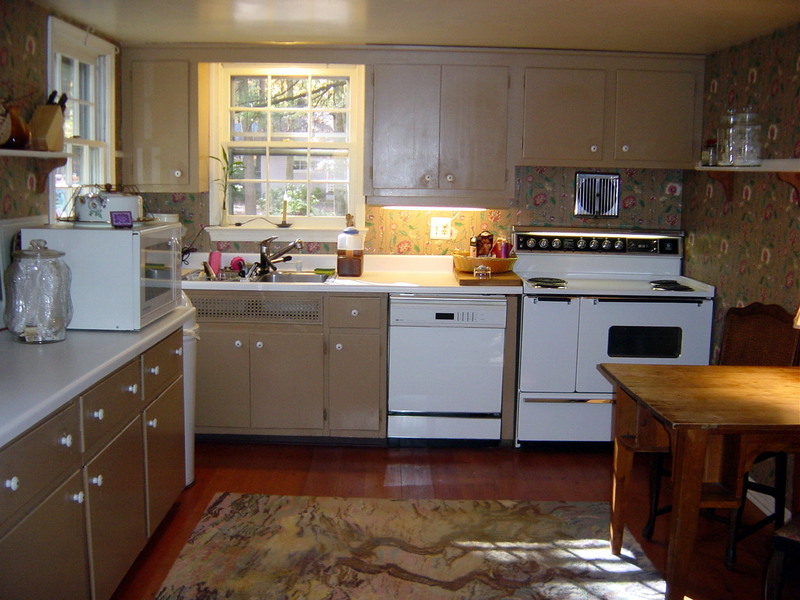 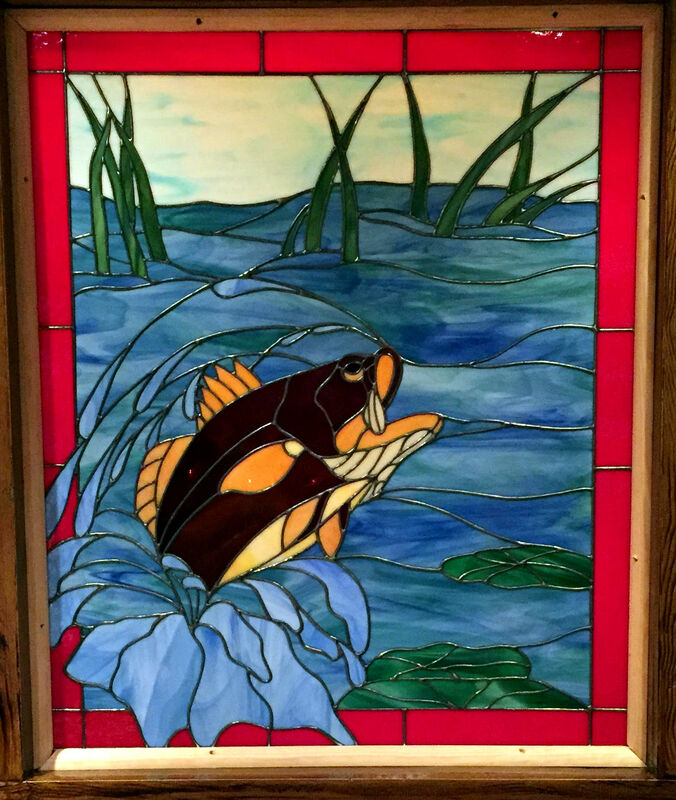 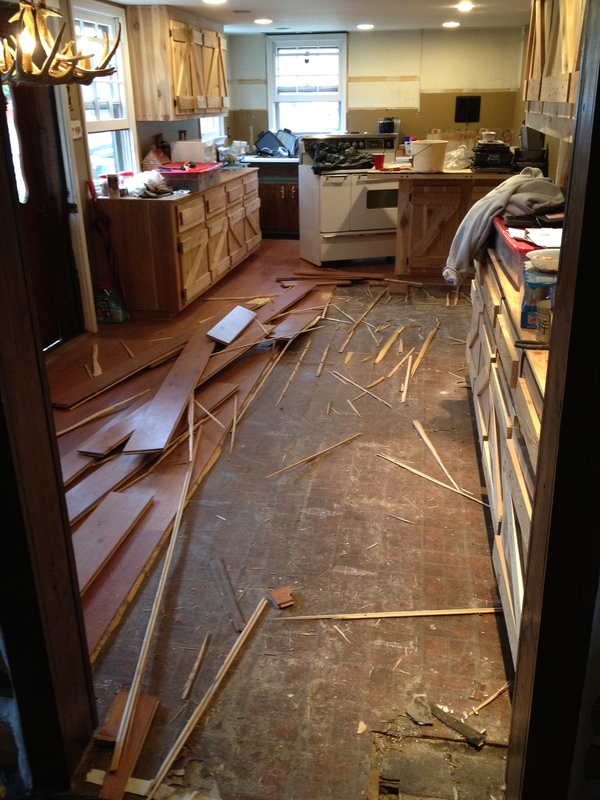 (Click HERE to see the construction on the kitchen, and click HERE to see the bay window installation in the kitchen). 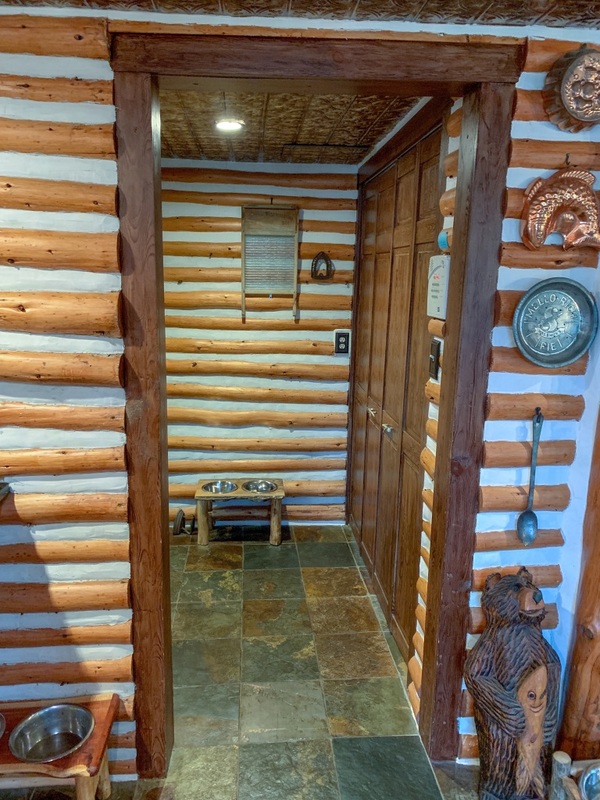 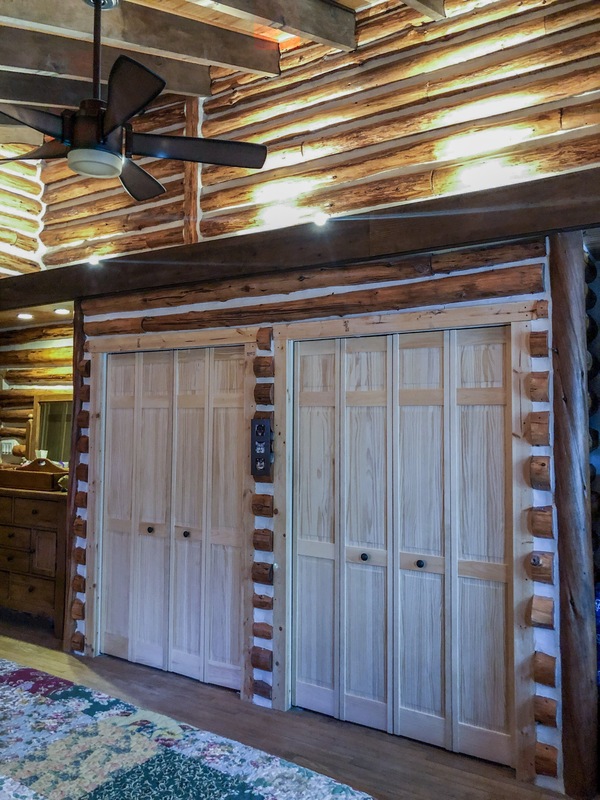 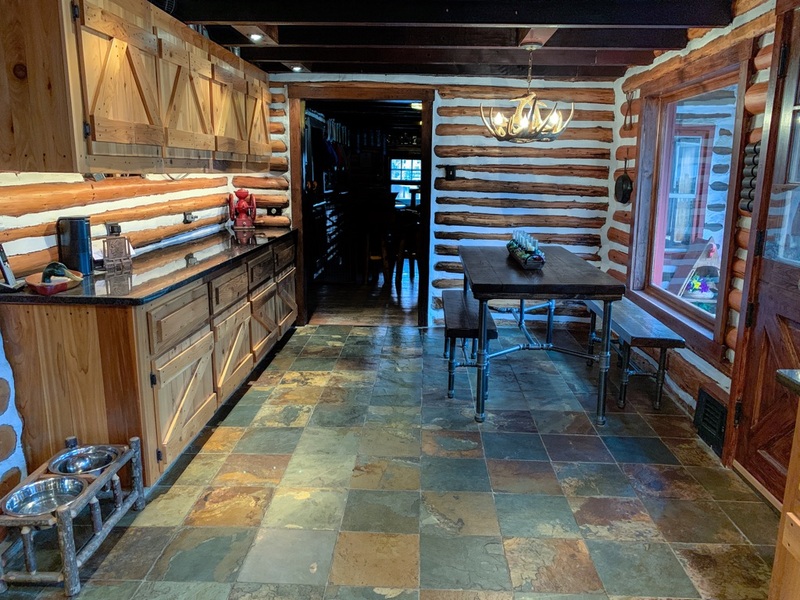 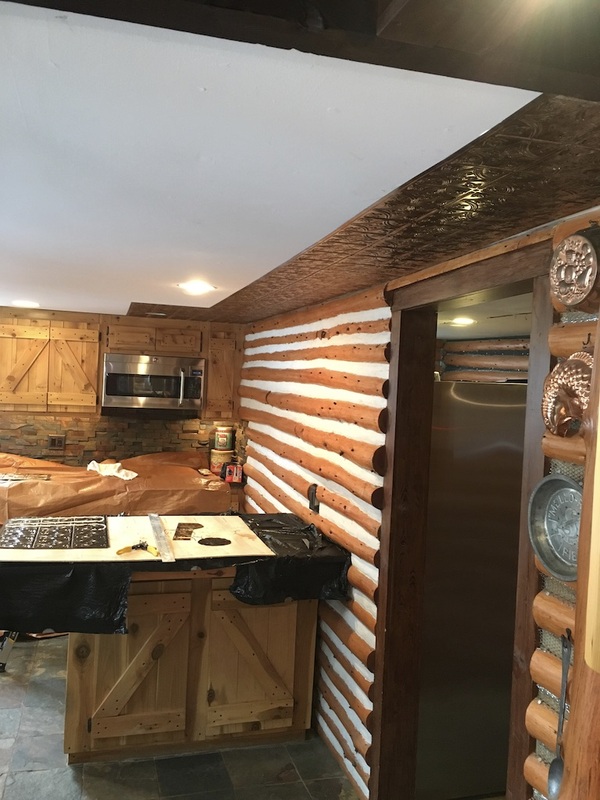 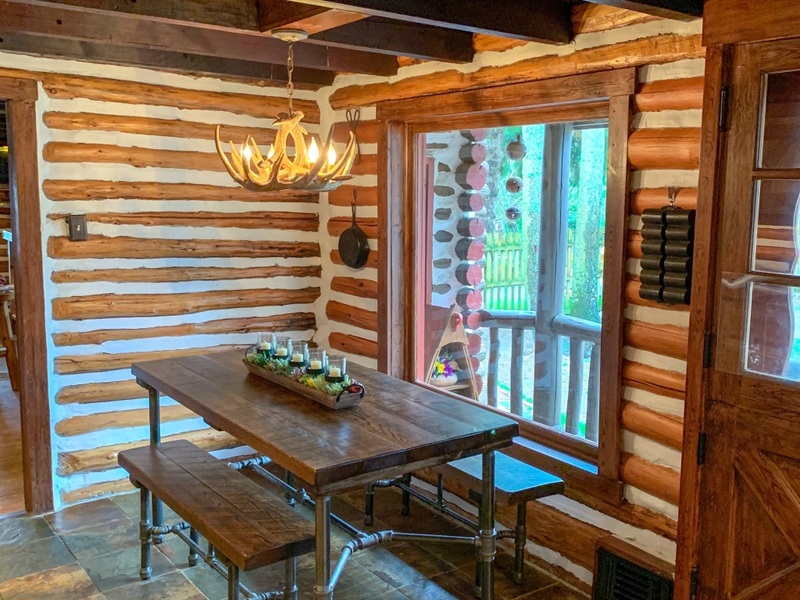 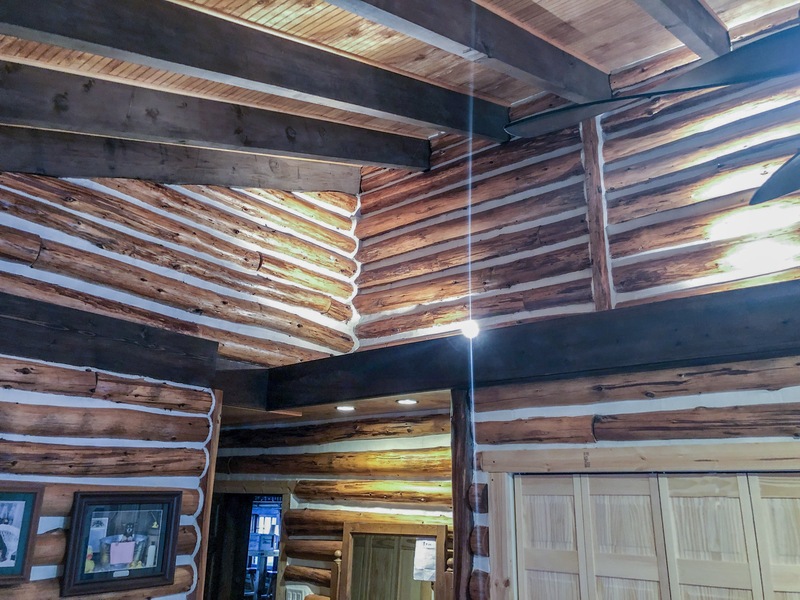 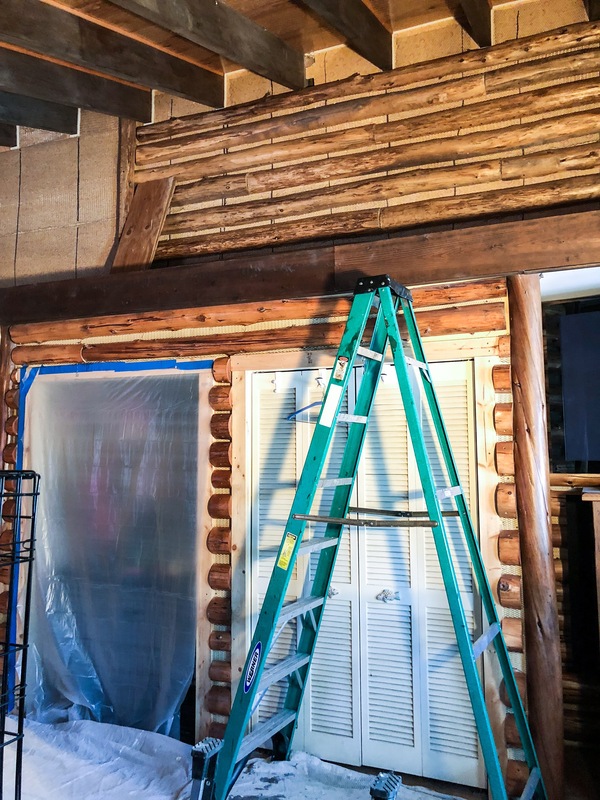 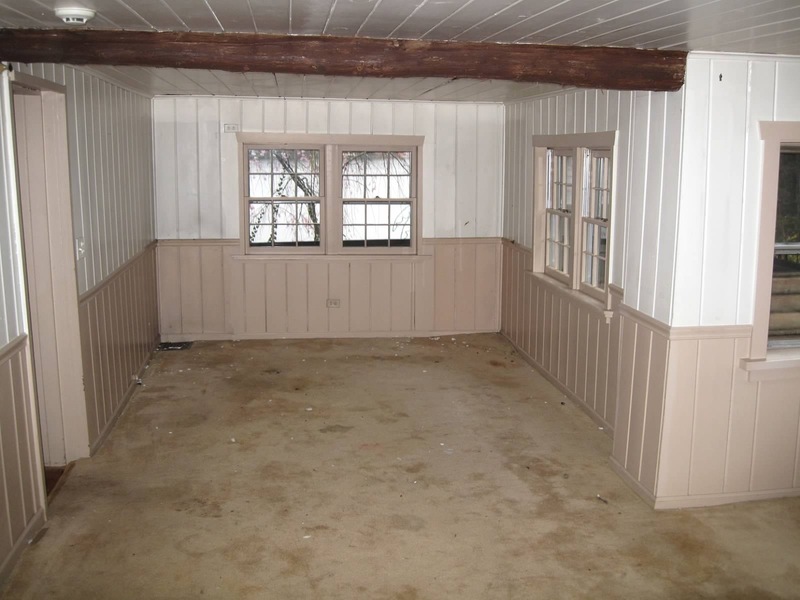 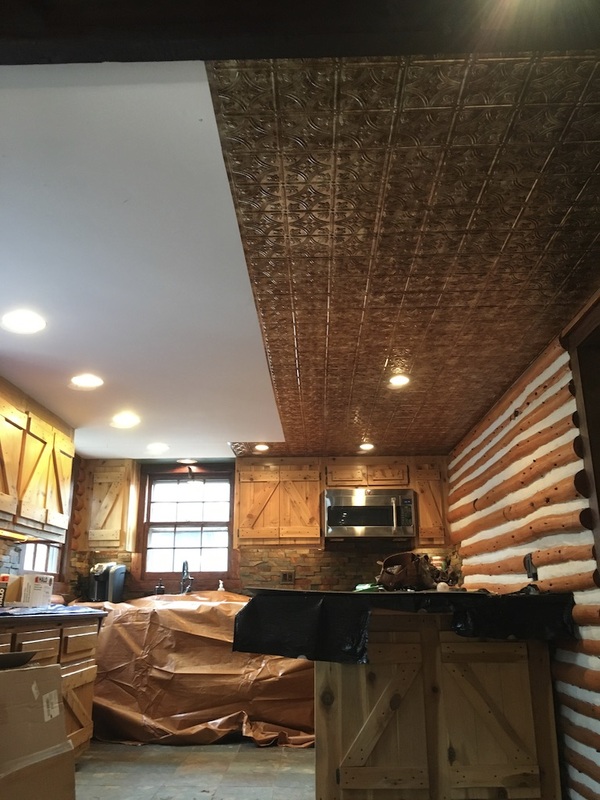 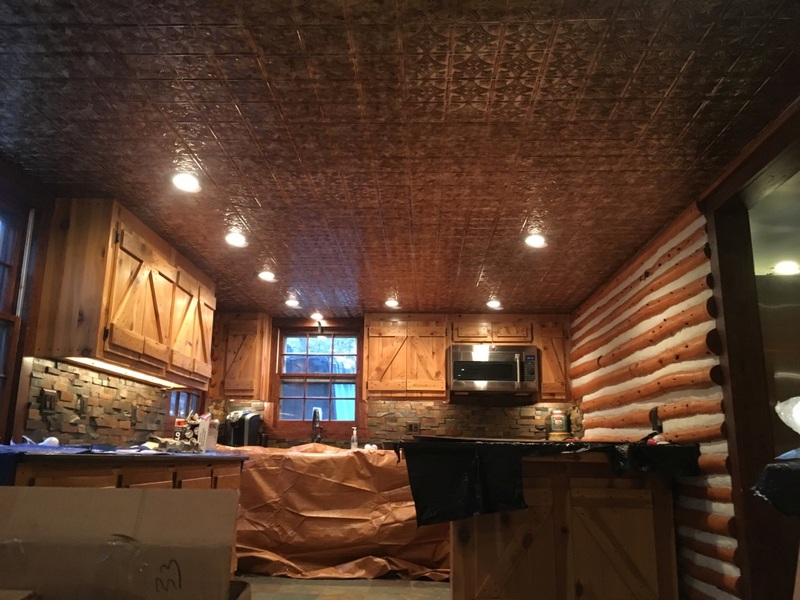 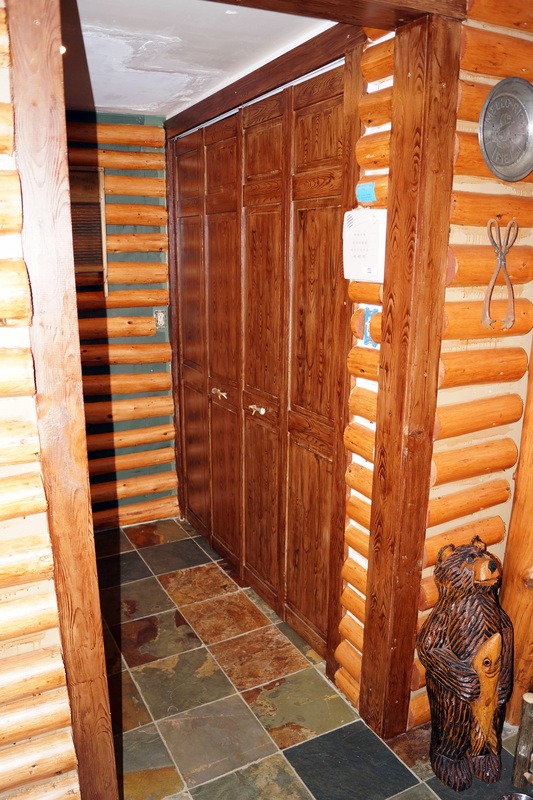 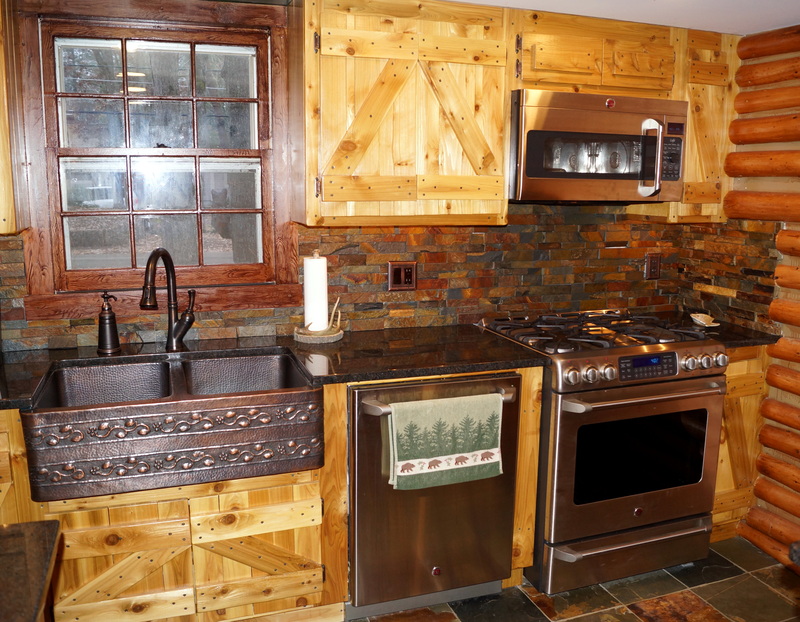 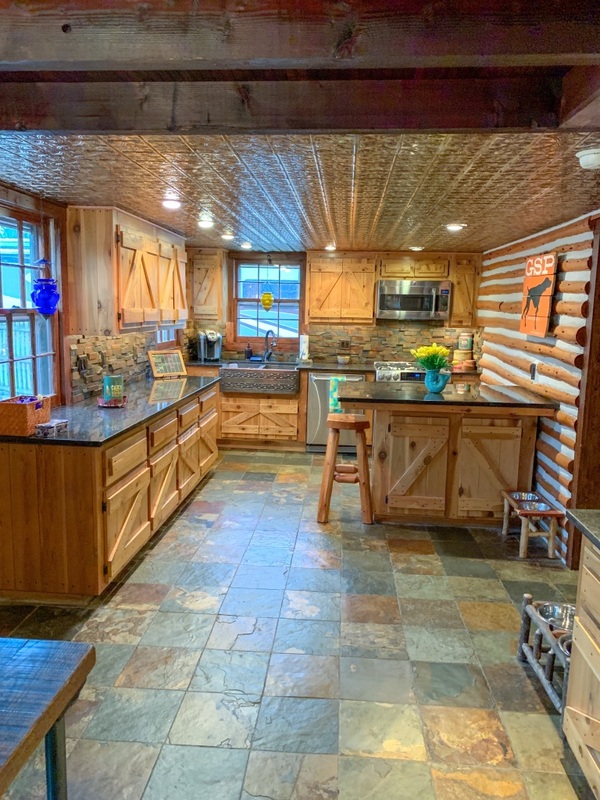 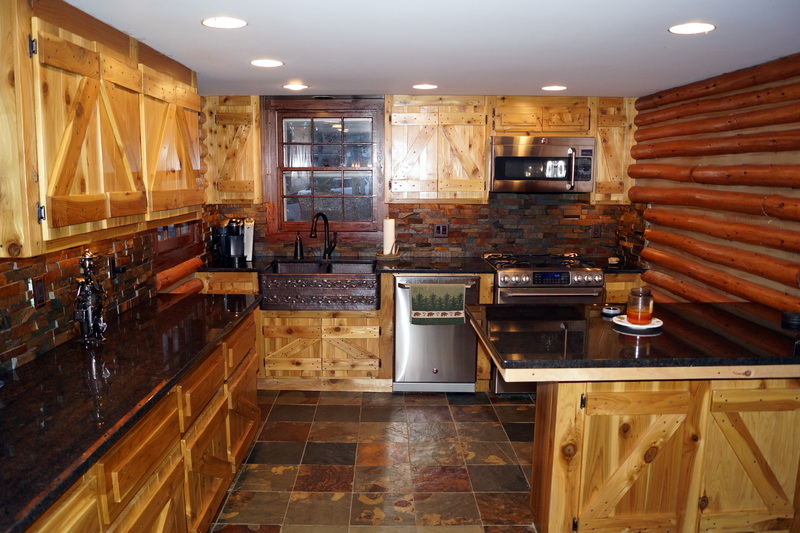 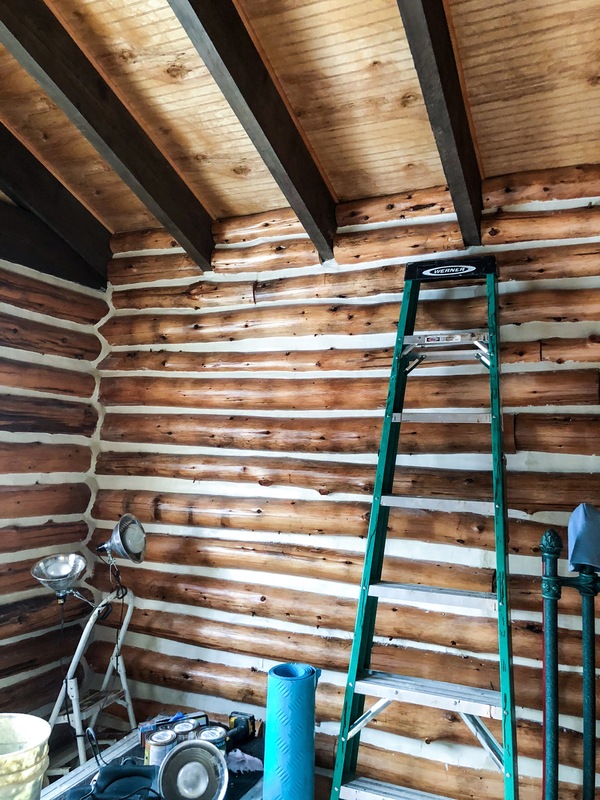 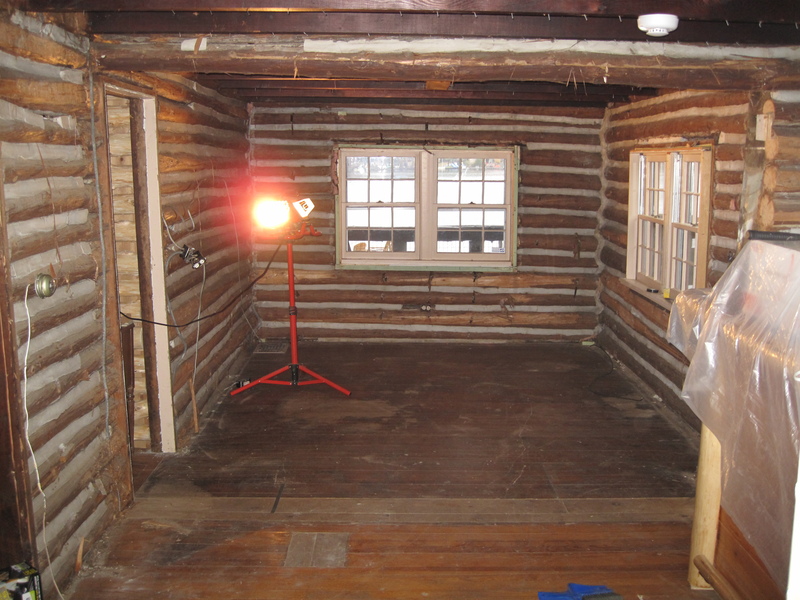 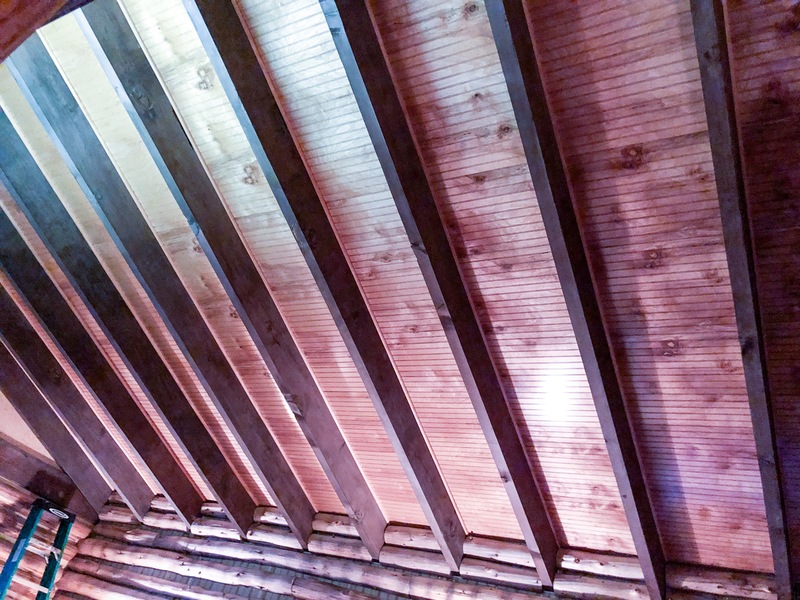 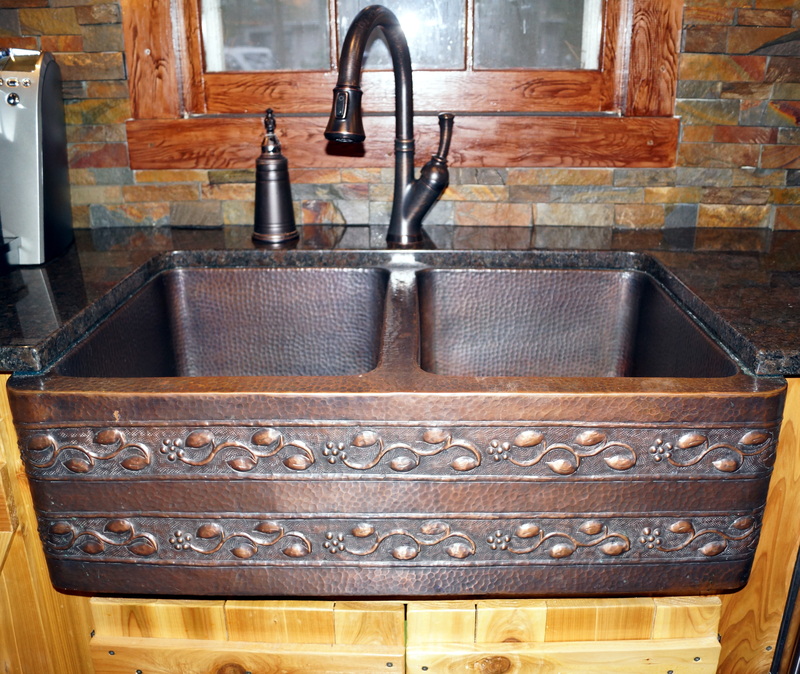 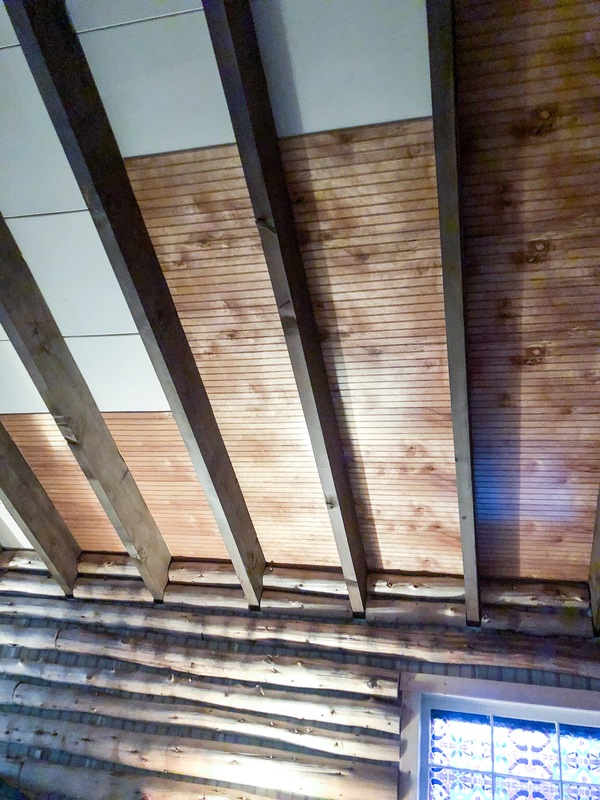 While restoring the original cabin, we also wanted to be sure we “married” the addition to the cabin so that the newer part of the home matched the rest of the cabin. 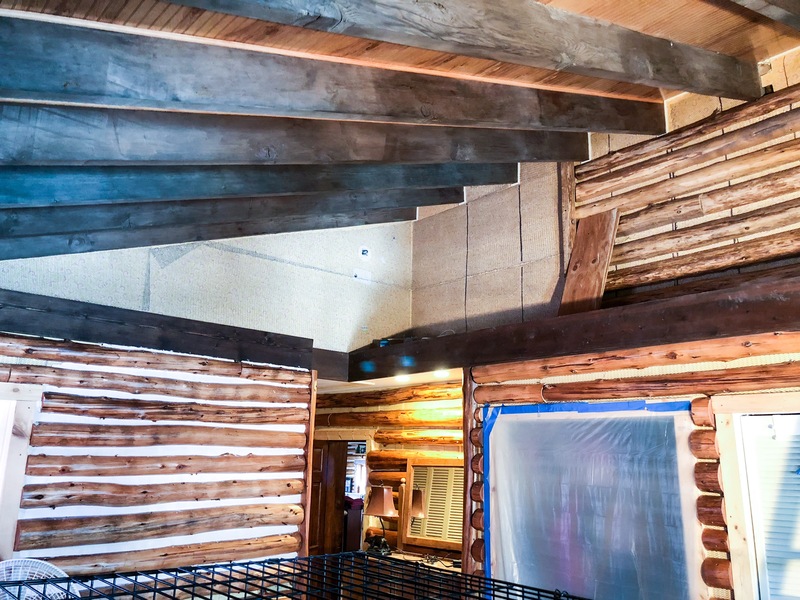 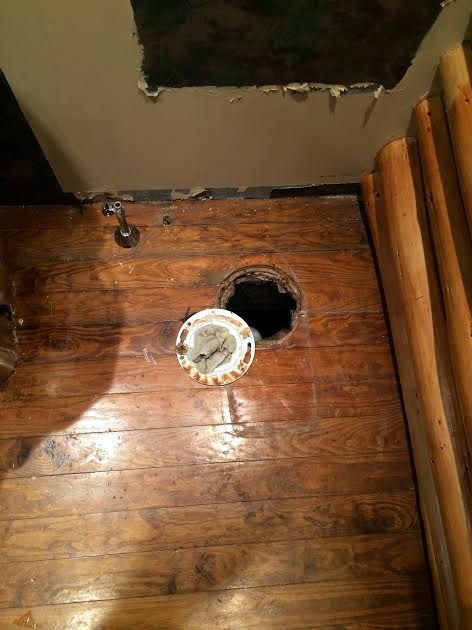 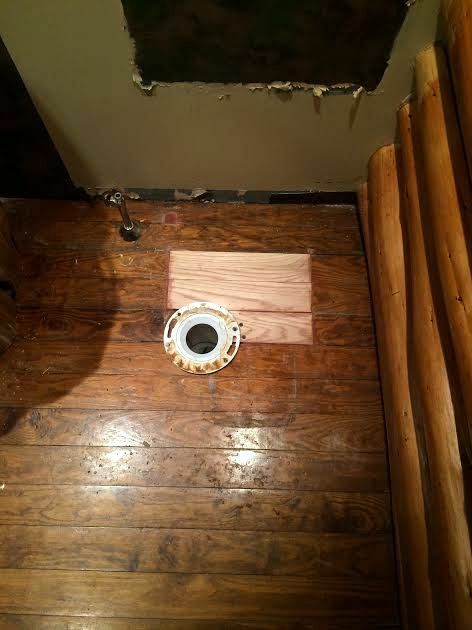 Even the “easiest” of construction in this home has never been easy. 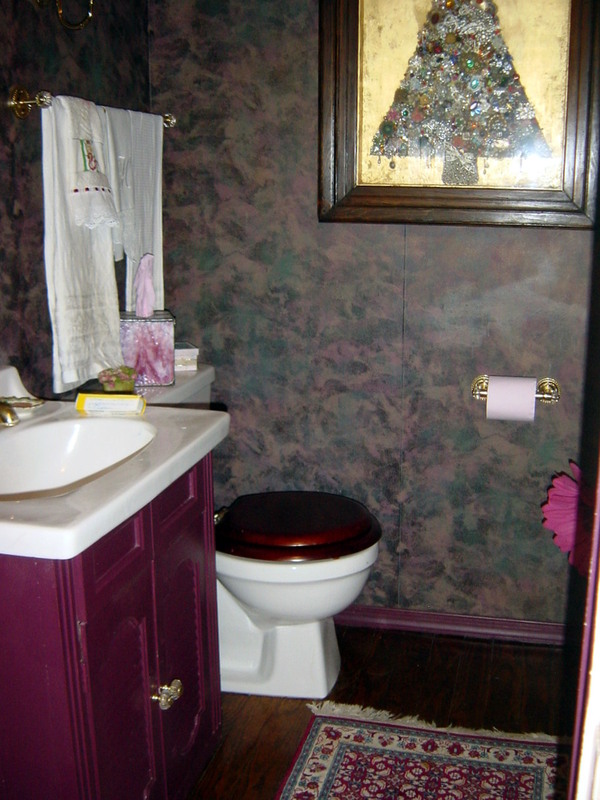 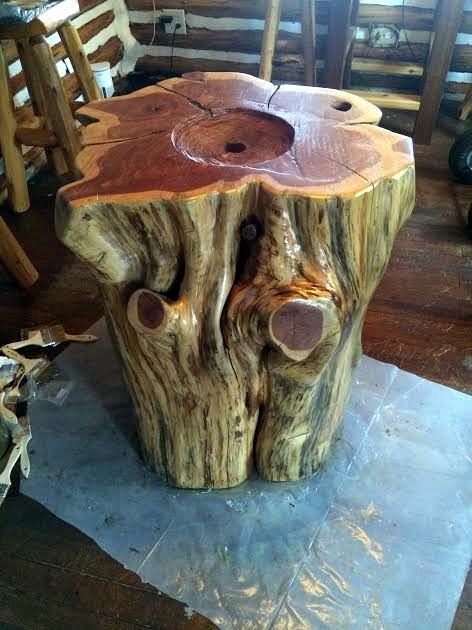 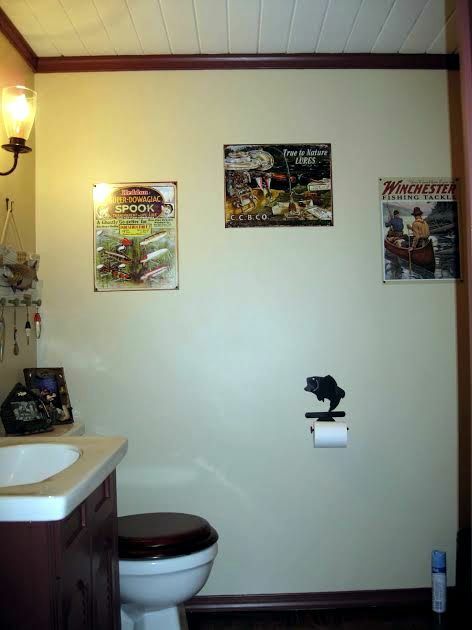 This project proved to follow suit. 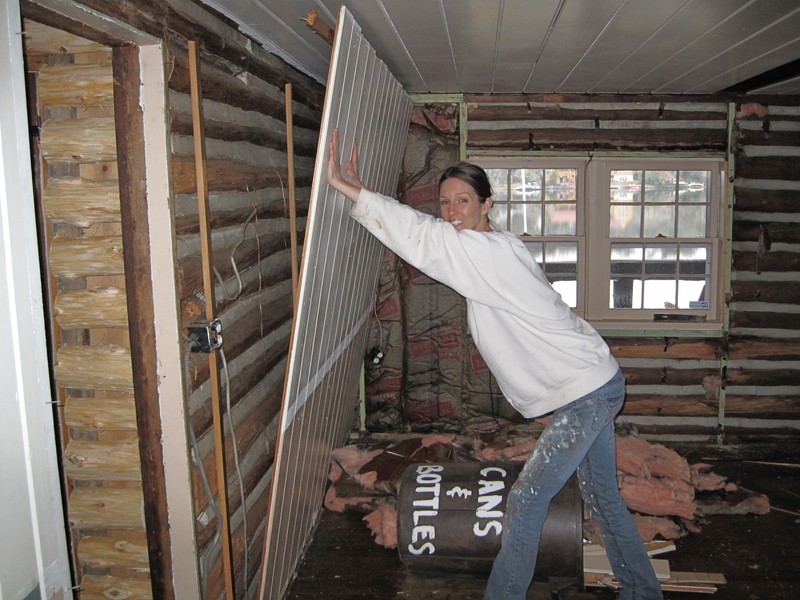 We “camped” out in the lodge room during the duration of the construction. 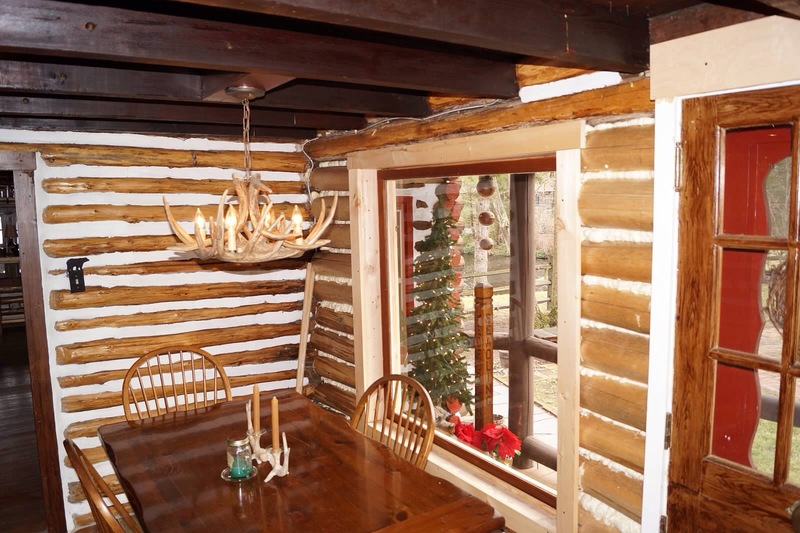 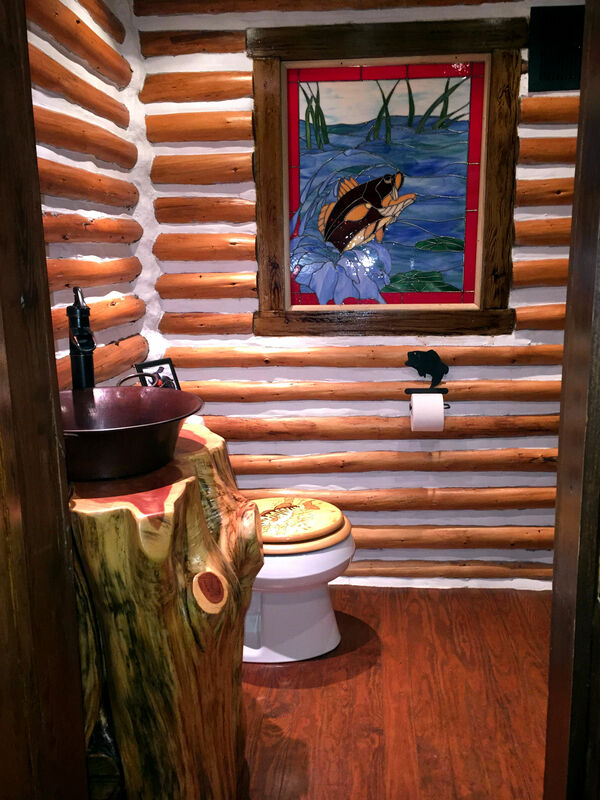 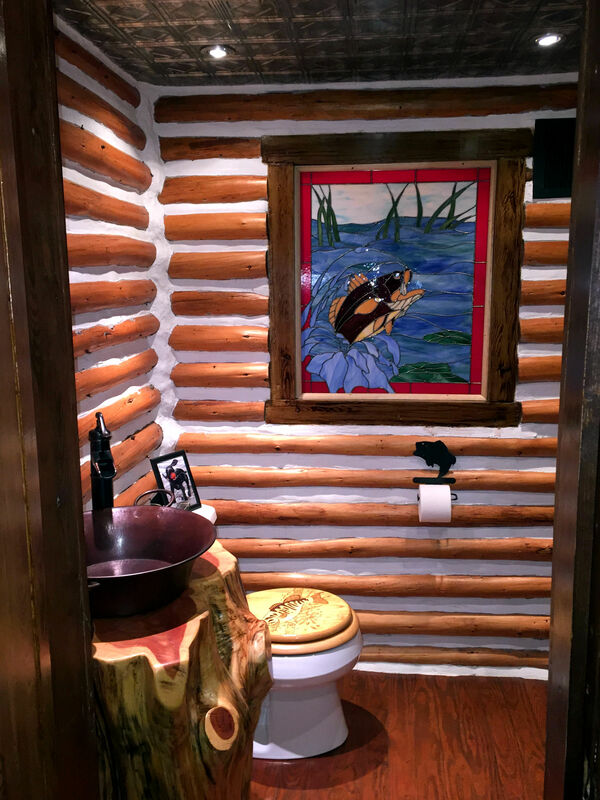 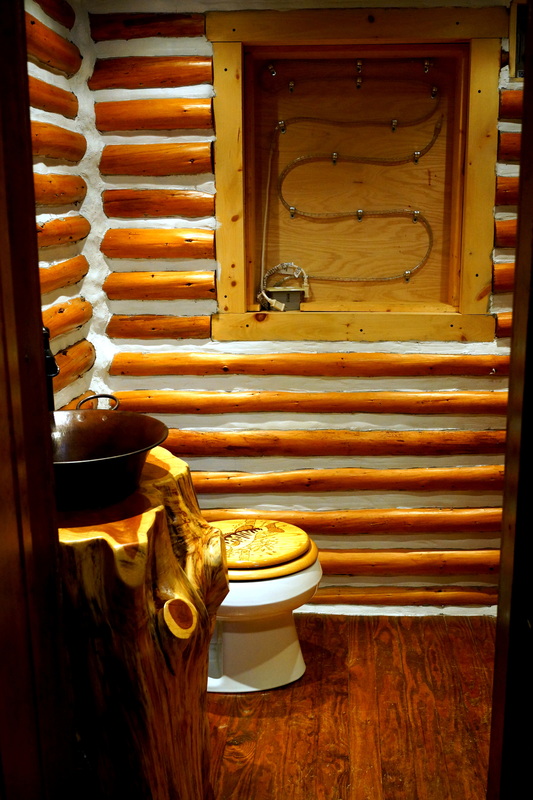 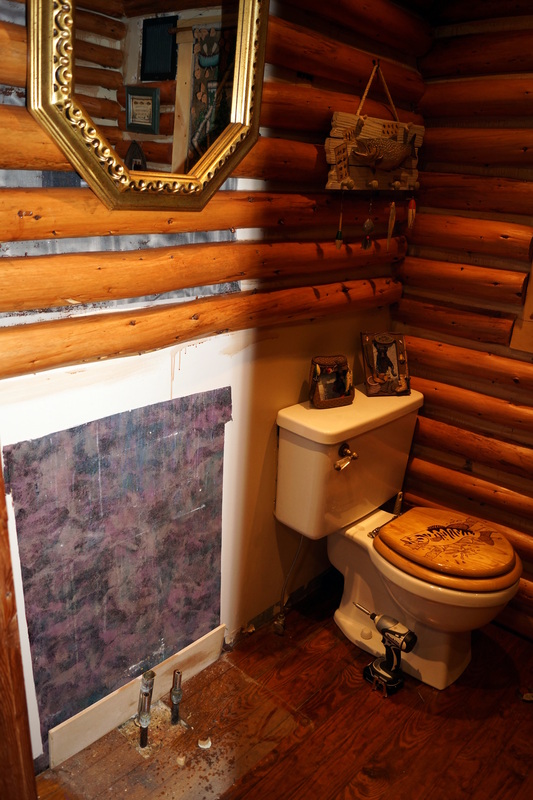 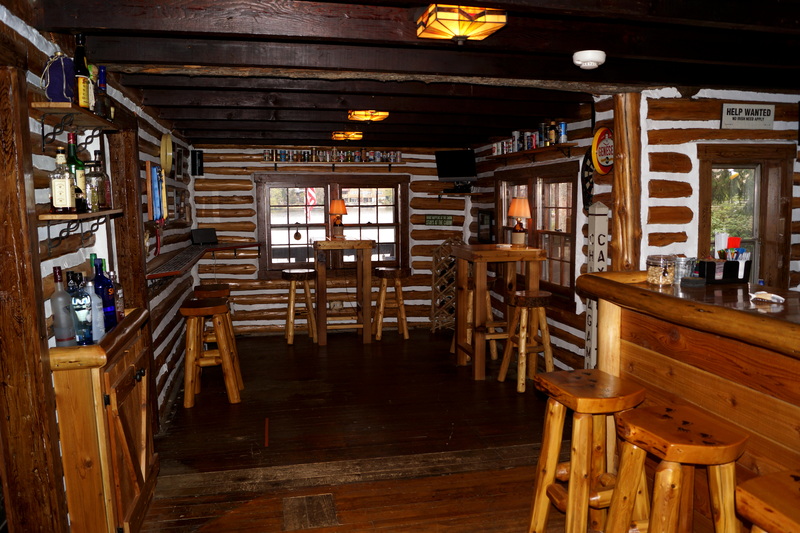 The original cabin is an authentic and historic log cabin – built with full cedar logs and chinking (the white stuff in between the logs). 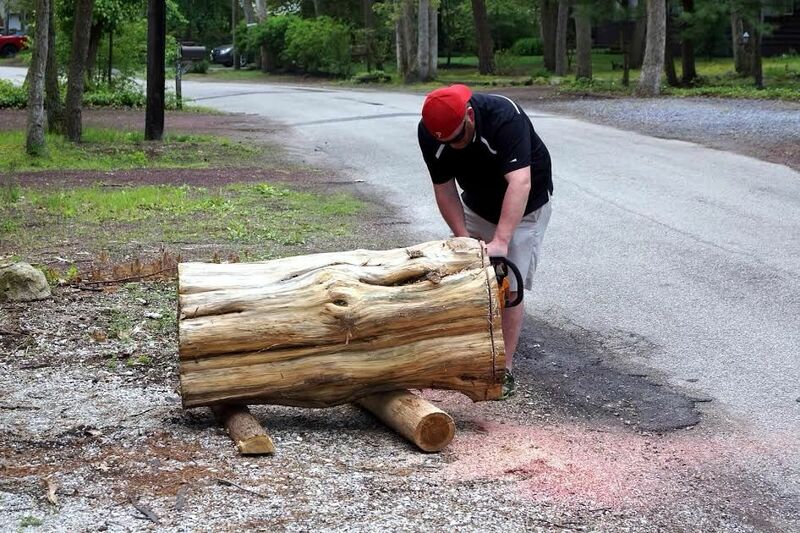 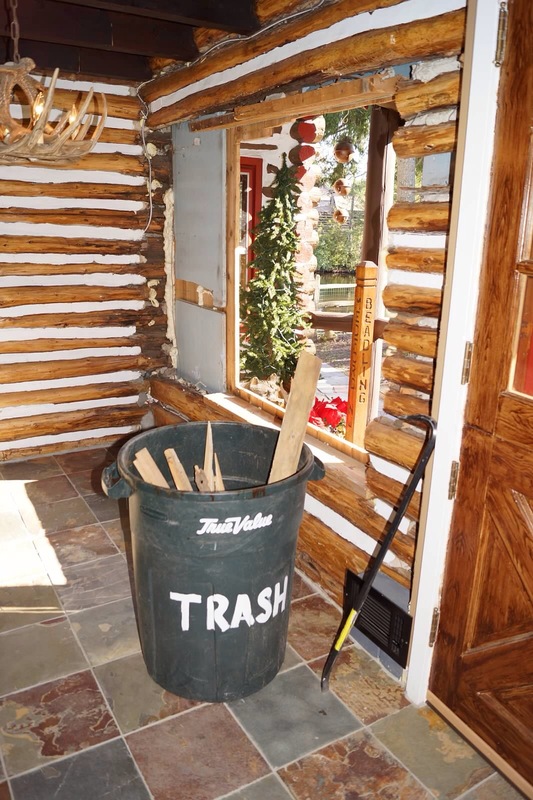 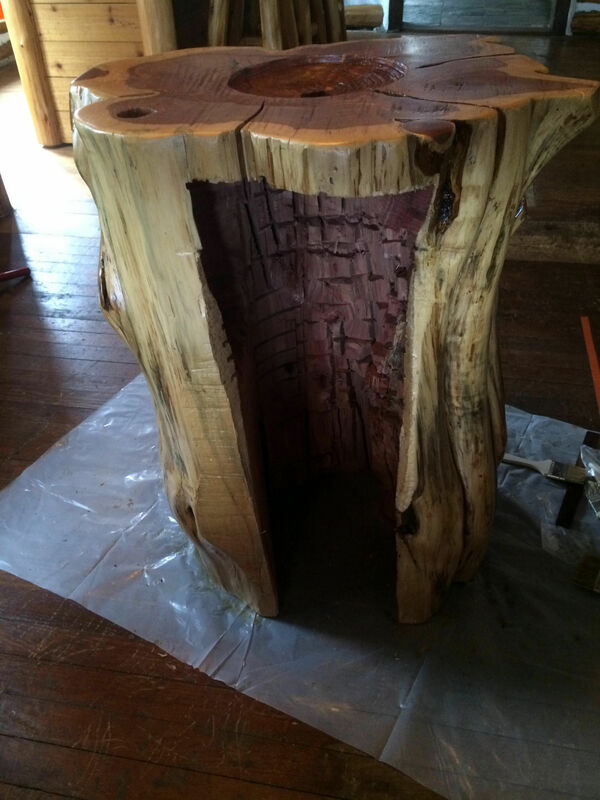 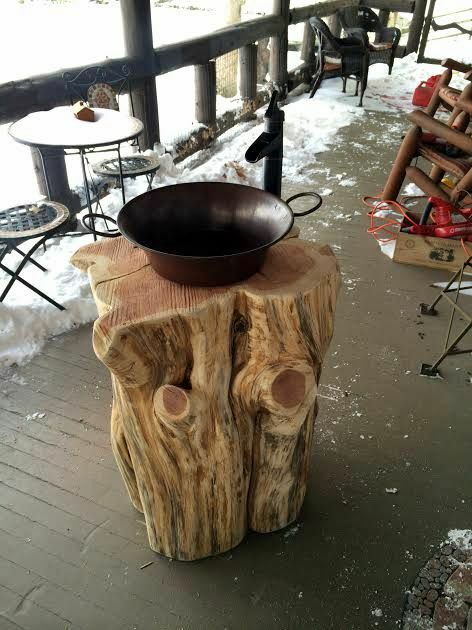 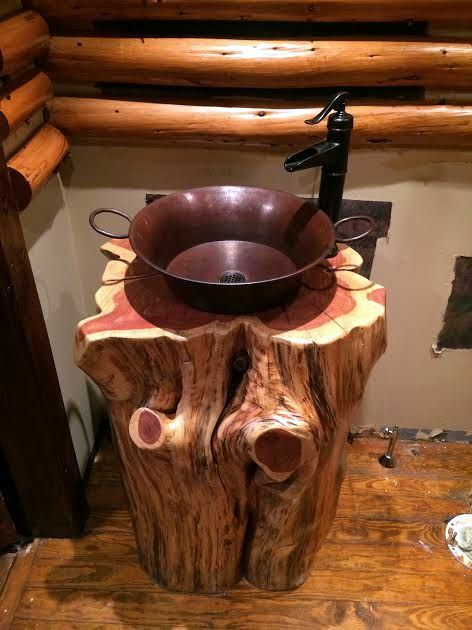 To make it appear “real” in the addition, we had to put up half-logs. 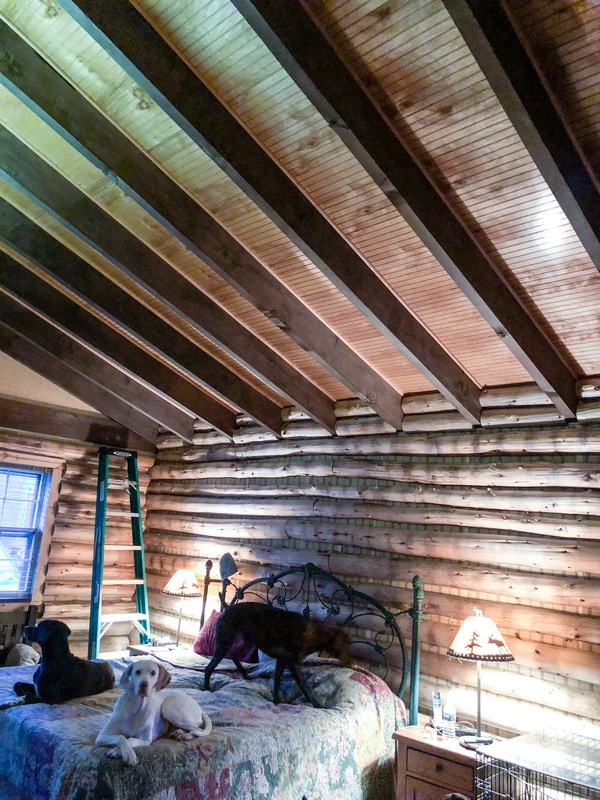 You can also see in the above and below pictures that the half-logs are up, but no chinking has been installed yet. 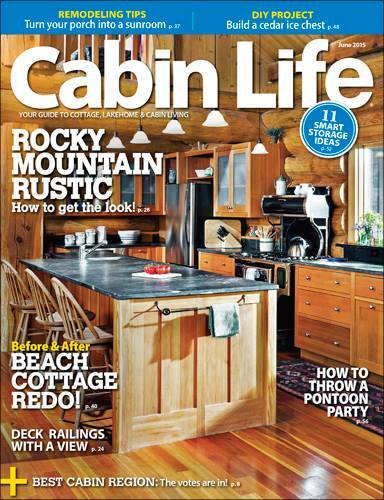 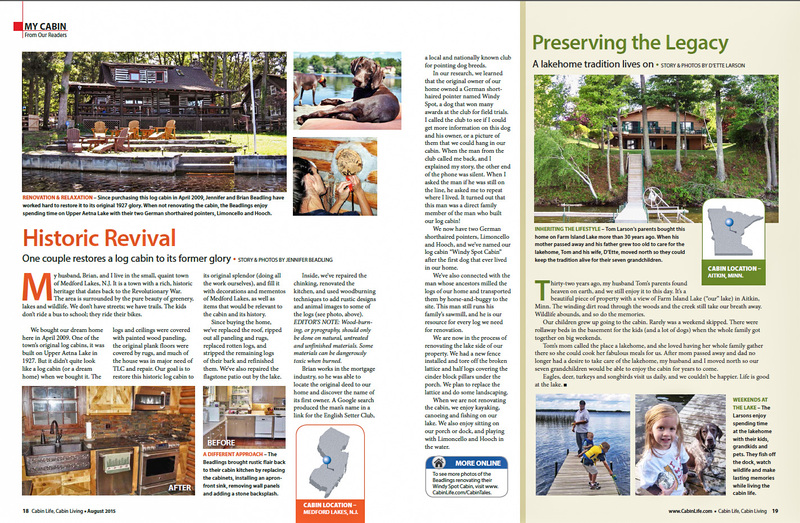 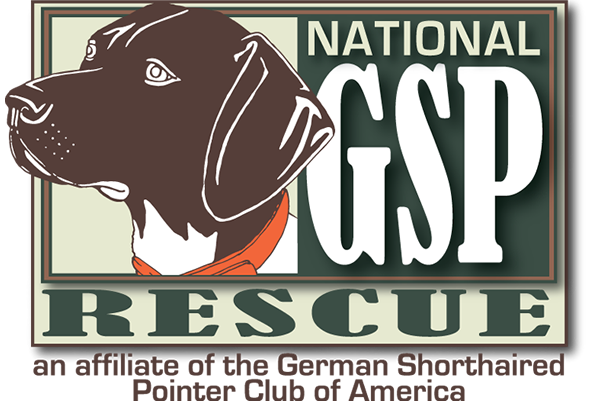 Cello, Hooch, and their Windy Spot Cabin were featured in the August edition of Cabin Life Magazine, published on June 16, 2015! 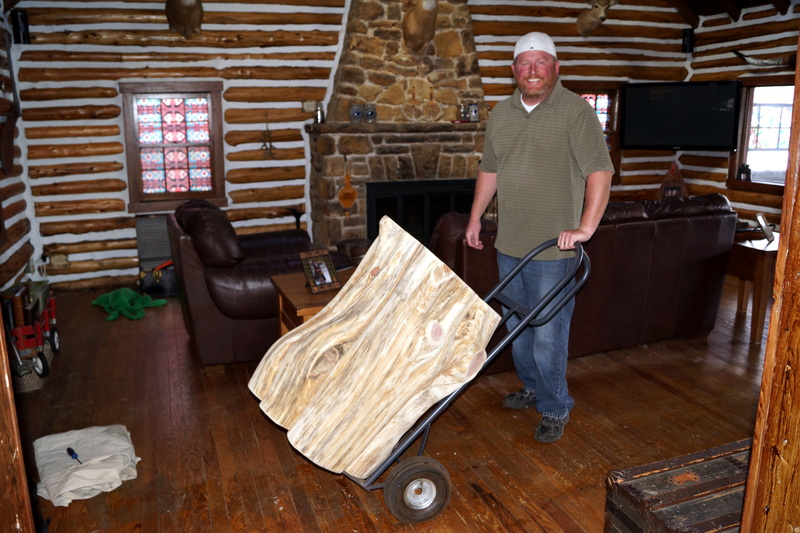 You can see the online version of this story plus additional bonus web-exclusive photos by clicking HERE. 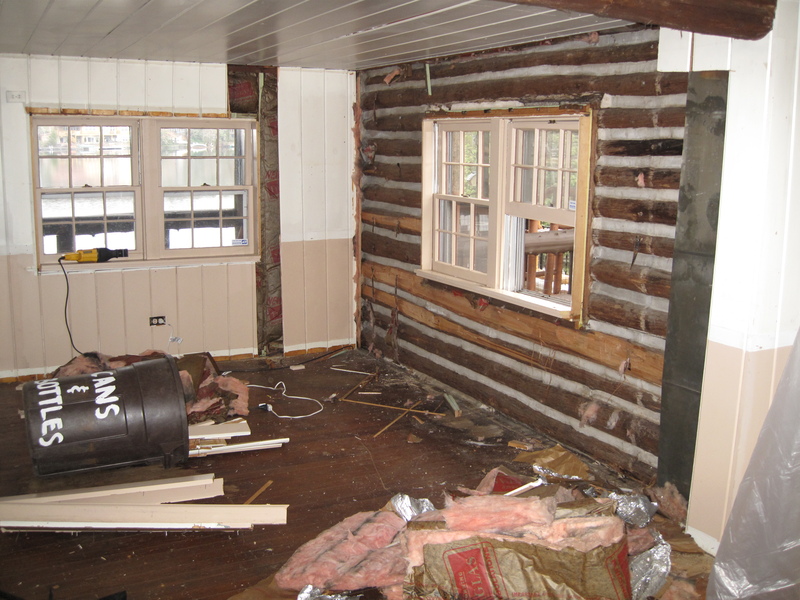 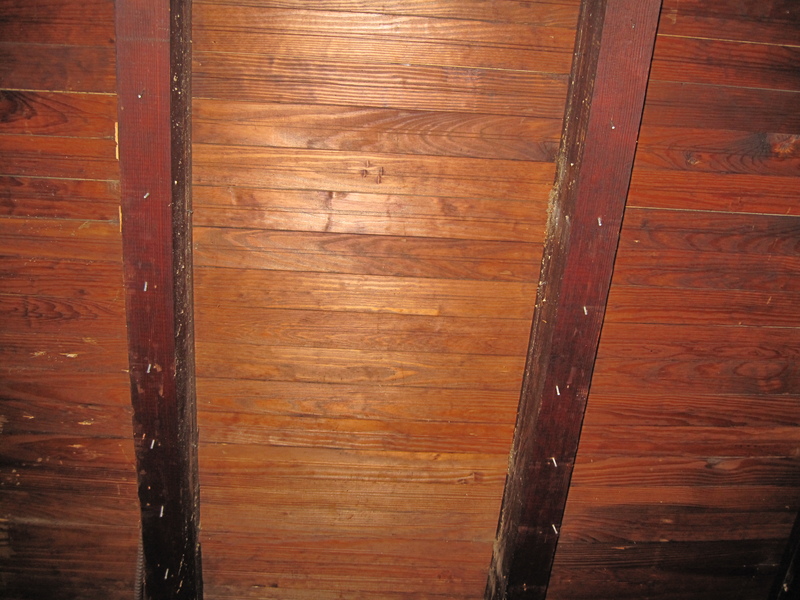 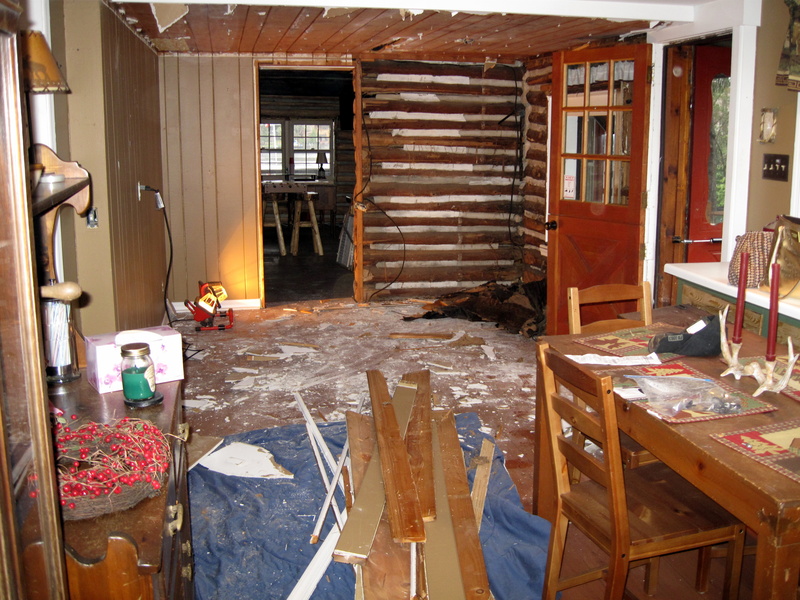 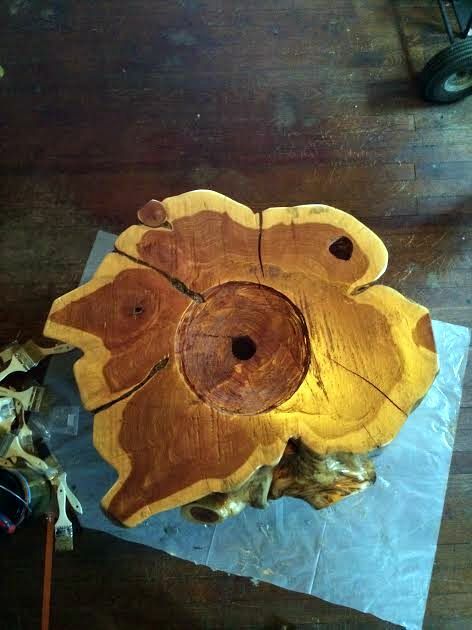 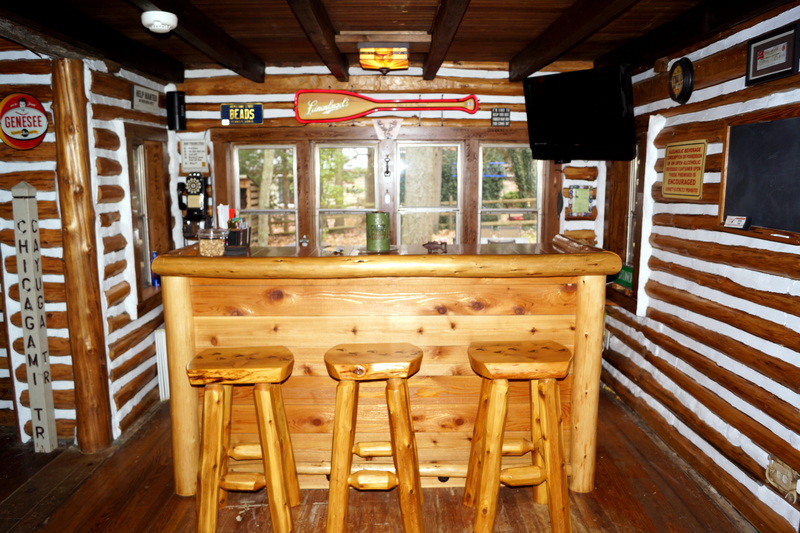 For more renovation pictures of Windy Spot Cabin, visit our Windy Spot Cabin section of the website! 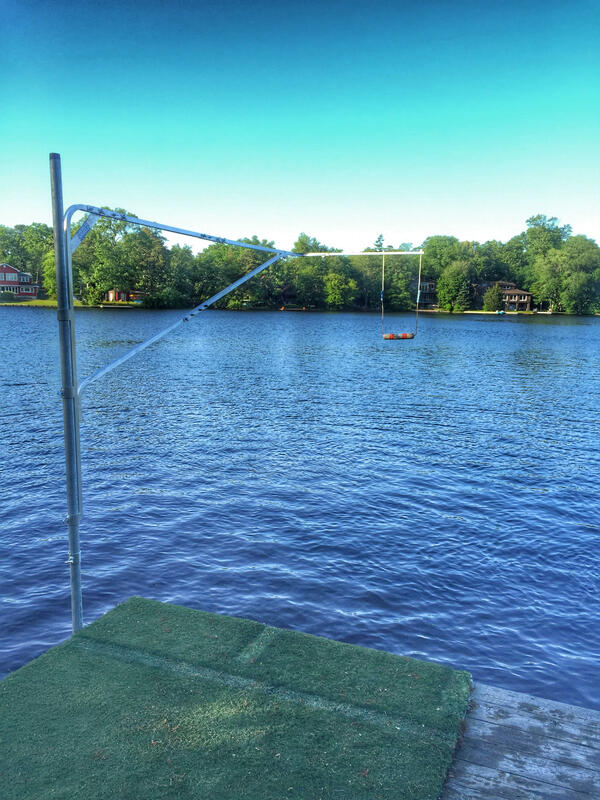 Since Cello had gotten involved in dock diving, we have been talking about putting in a “runway” that would closely resemble the length and feel of the actual DockDogs dock. 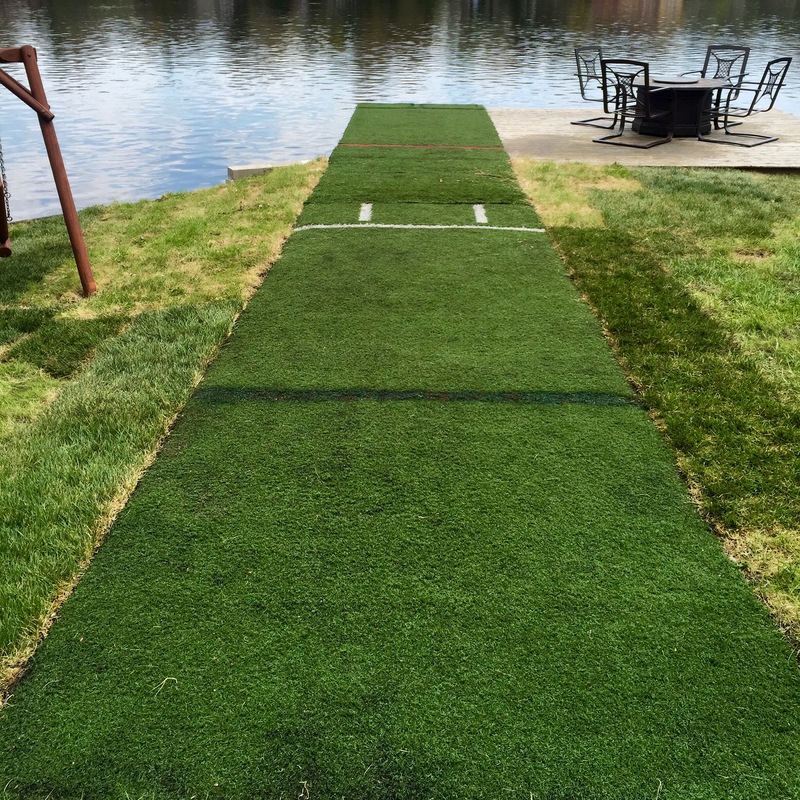 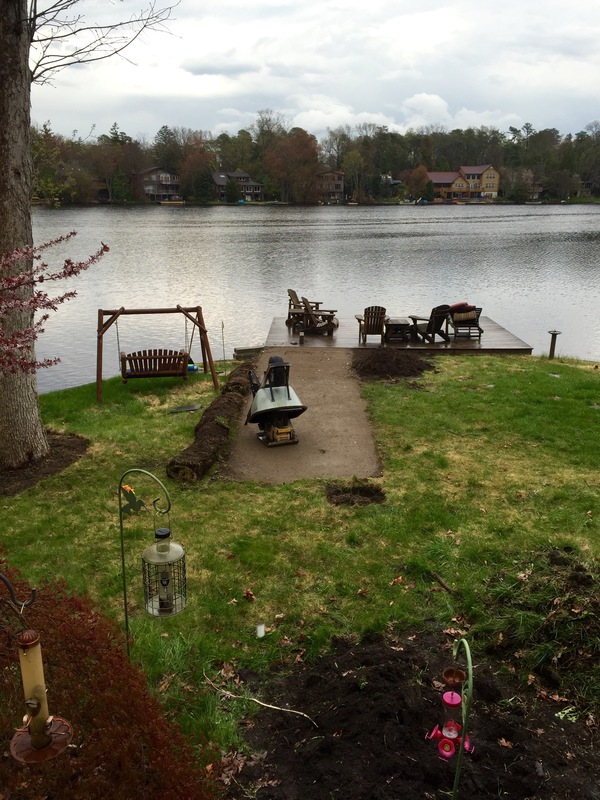 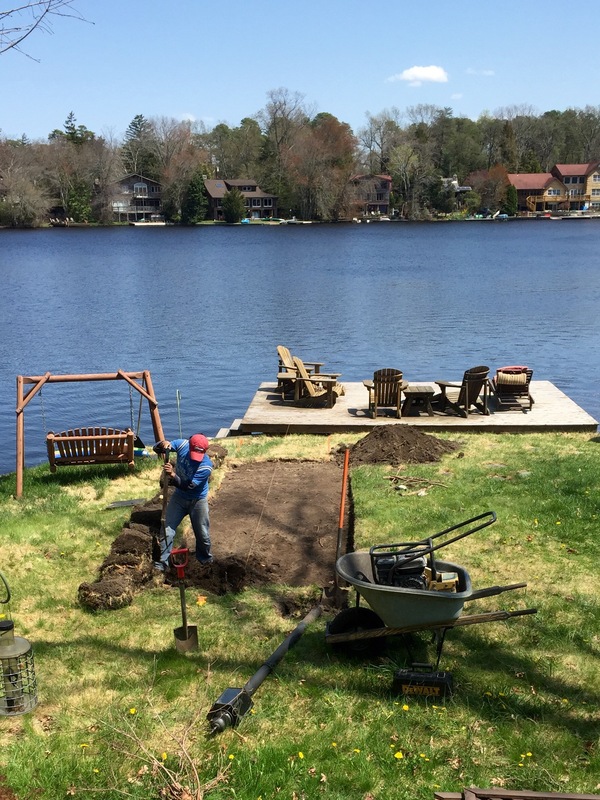 Well, the project came to life – and even prompted us to get some landscaping and other renovations done on our lakeside! 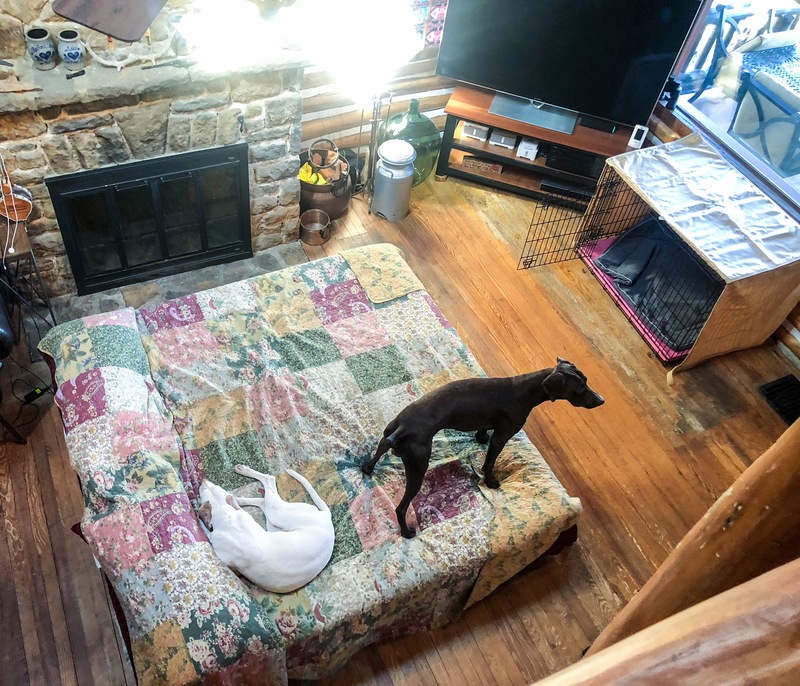 Cello trying to take the maiden jump, as Hooch is – – being HOOCH! 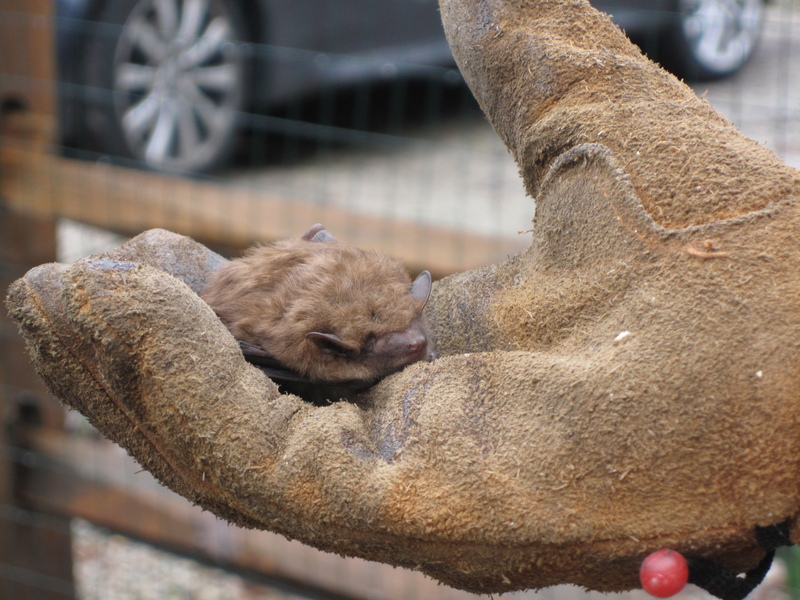 Cello taking the first “grab” from her new EV rig! 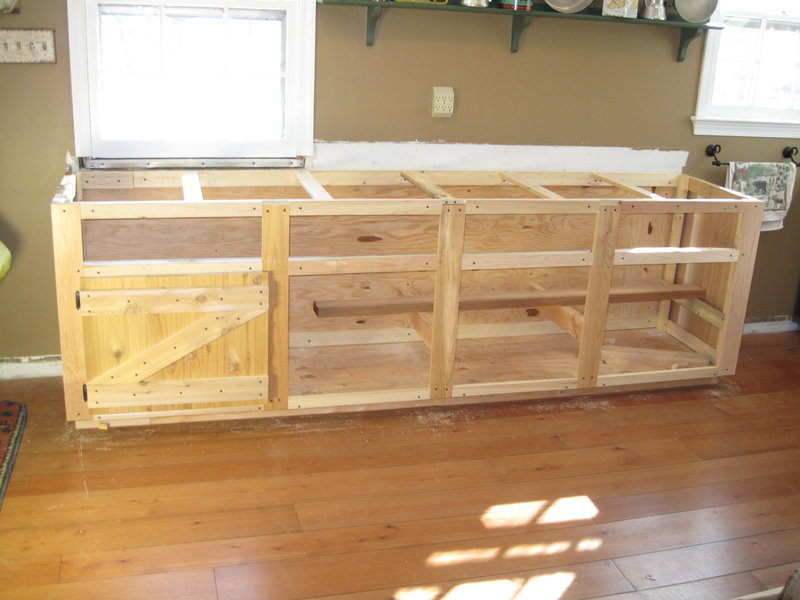 I’m sure Limoncello and Hooch will enjoy their at-home dock this summer!